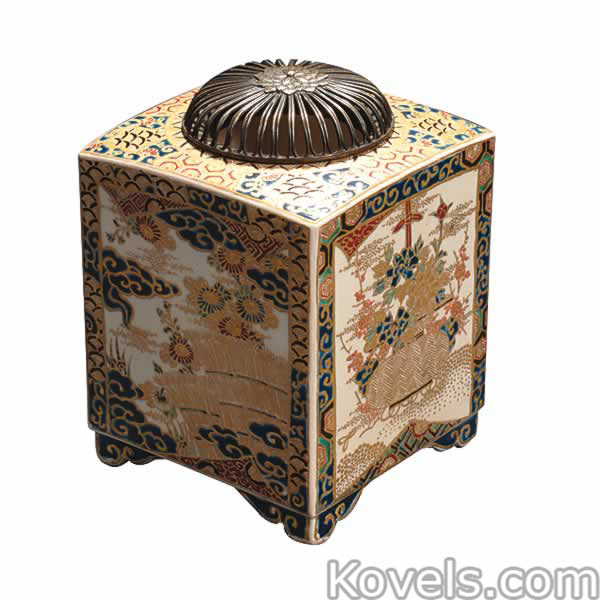 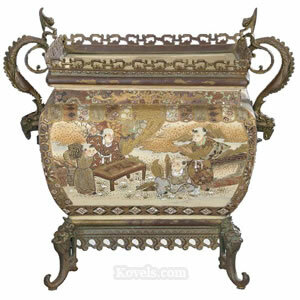 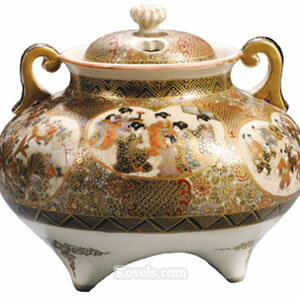 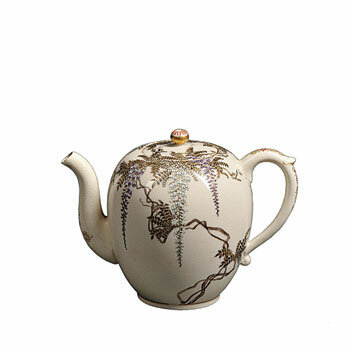 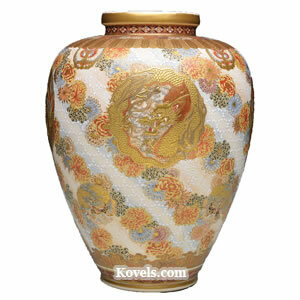 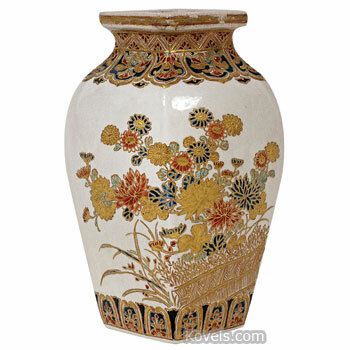 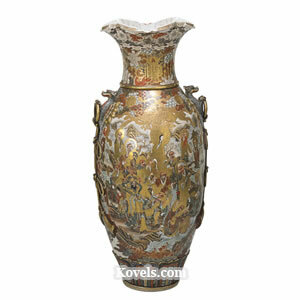 Satsuma is a Japanese pottery with a distinctive creamy beige crackled glaze. 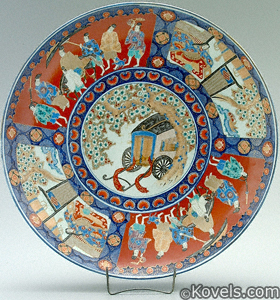 Most of the pieces were decorated with blue, red, green, orange, or gold. 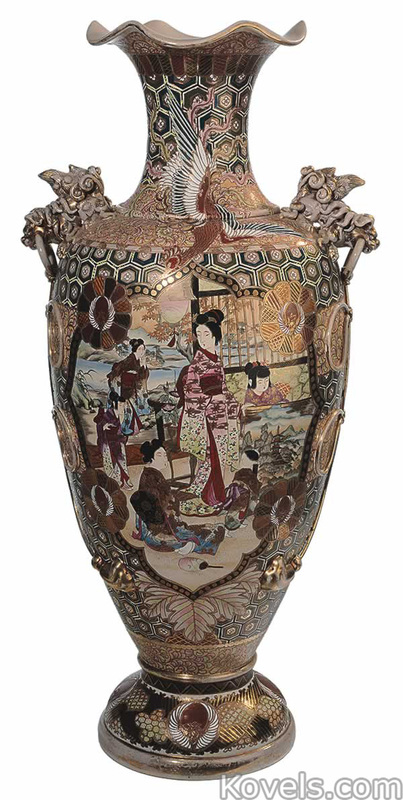 Almost all Satsuma found today was made after 1860, especially during the Meiji Period, 1868-1912. 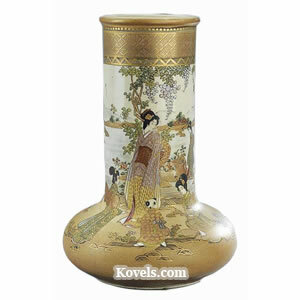 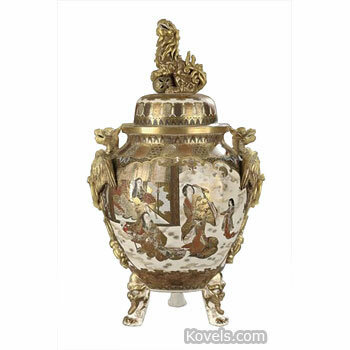 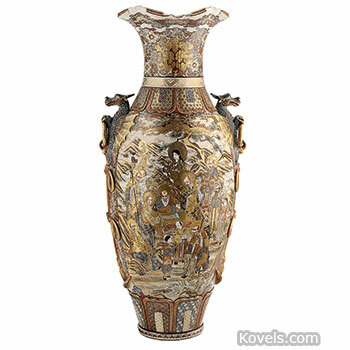 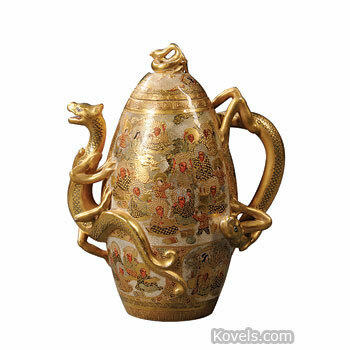 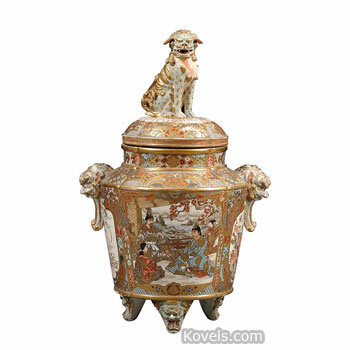 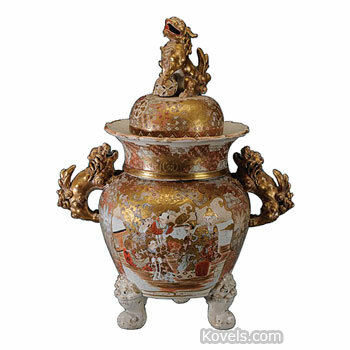 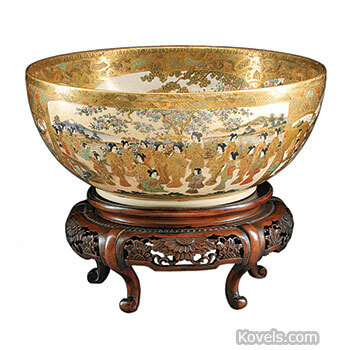 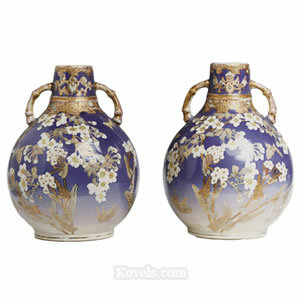 During World War I, Americans could not buy undecorated European porcelains. 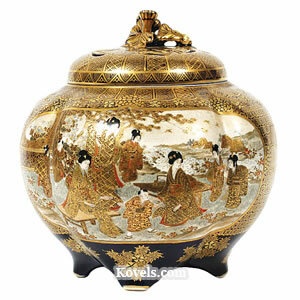 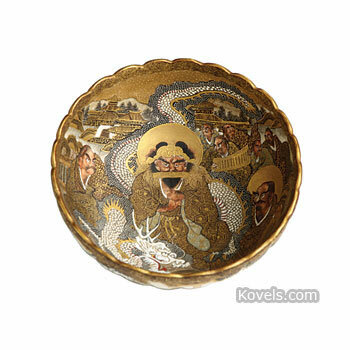 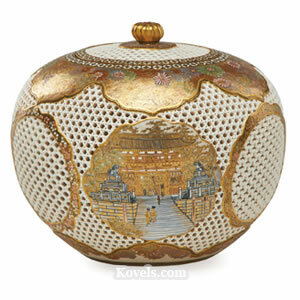 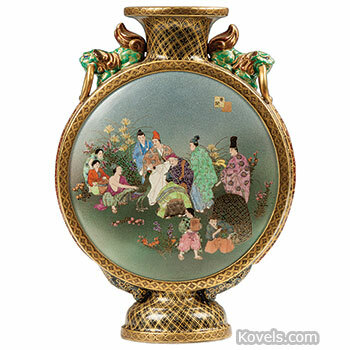 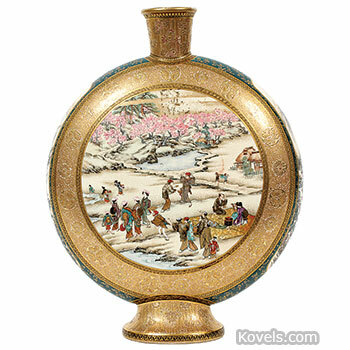 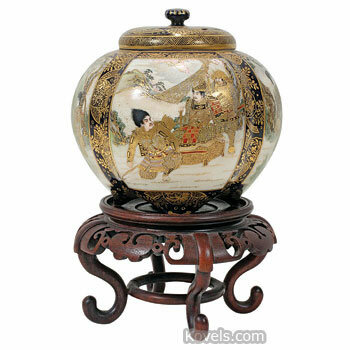 Women who liked to make hand-painted porcelains at home began to decorate white undecorated Satsuma. 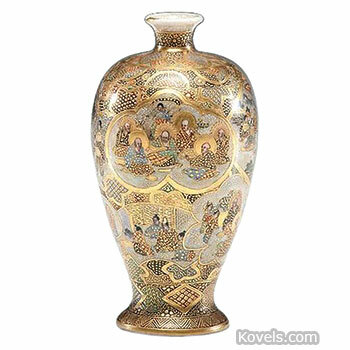 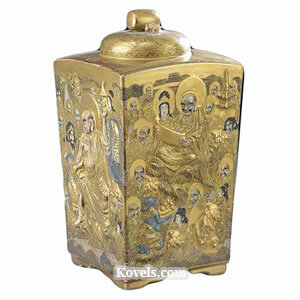 Early Satsuma pieces have floral designs asymmetrically space, with much open space, or pictures of people, usually religious figures. 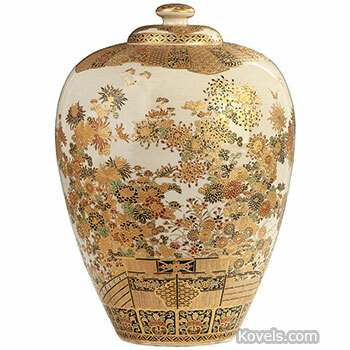 These pieces are known today as "American Satsuma."